The Easter Bunny will be making a trip to visit Pelican Bay kids of all ages at Marker 36 on Sunday, April 21! Our photographer will also be available to take a family photo with the Easter Bunny! Make it a great day by reserving a table with your family and enjoying a full brunch buffet menu. 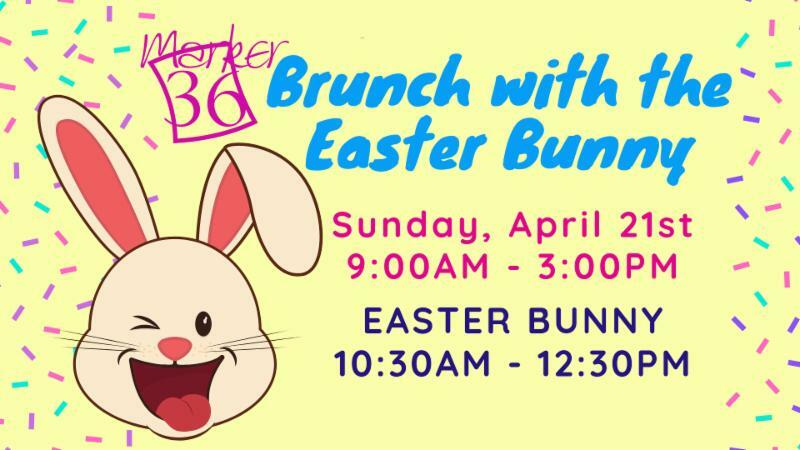 Don’t forget to read the Pelican Bay Post for details on brunch items, and don’t forget that both Marker 36 and Sandbar will be offering Easter dinner specials.